Pippa Middleton, the younger sister of Kate Middleton the Duchess of Cambridge, was married to James Matthews on Saturday at St Mark’s Church Englefield in Berkshire. The bride was beautiful in a high-necked white bridal gown by Giles Deacon. And while the ceremony was attended by many high profile members of society it was Prince George and Princess Charlotte who stole the spotlight. 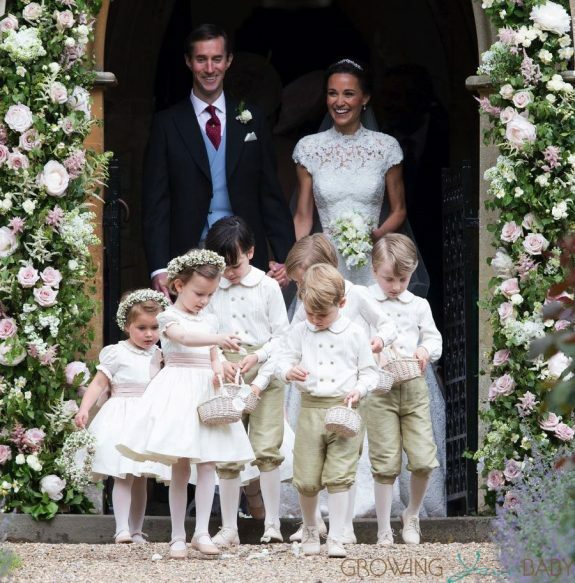 The royal siblings, along with six other children, took the role of page boy and bridesmaid at the ceremony. Charlotte was sweet in a white dress with a pink sash and a crown of flowers on her head. George wore an ivory double-breasted silk shirt with olive knickerbockers and white leather shoes as he sprinkled flower petals along the path. As always, Kate was beautiful in a pale pink Alexander McQueen maxi dress which she paired with a Jane Taylor fascinator. 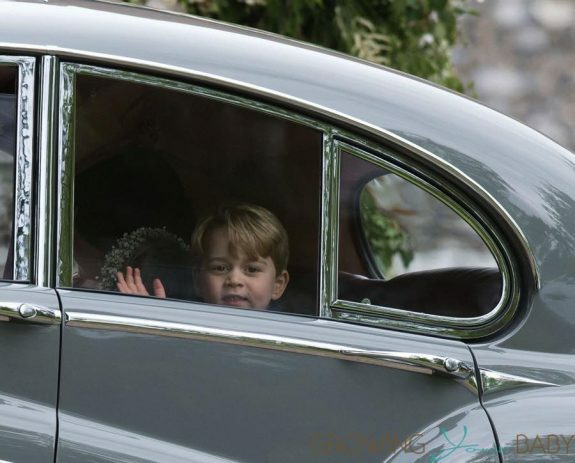 Afterward, George waved out the window as he left the ceremony with his sister. A reception was scheduled at Carole and Michael Middleton’s home in nearby Bucklebury.